There is a certain, very British understated (dour?) glamour and sense of kitchen sink-esque escapism to a proper cafe. Greasy spoon sounds derogative but essentially that’s what I’m thinking of – your well-kept, well run greasy spoon cafe. Along such lines; Edwin Heathcoate and Sue Barr’s London Caffs book is a collection of formal photographic portraits and text overview of such cafes. 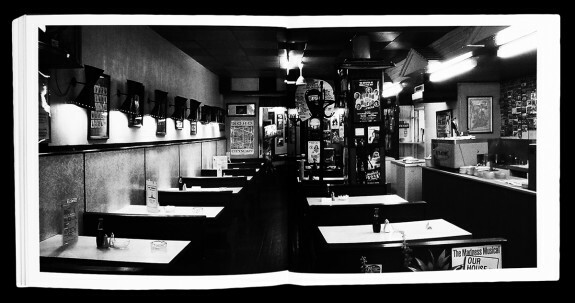 The books feels like a time capsule, a recording of establishments that have stood against the march of time; formica, tiling and silvered hot water geysers resoluteness. In and around London’s Soho you used to find (and still occasionally find) such places – often they had a sense of deep rootedness, that their Mediterranean owners had been running them as a family business for more than a generation or two. Looking through London Caffs recently, the pages seem to open of their own accord to a cafe where the light was a little more golden, the magic a little more present. Not unsurprisingly, this was The New Picadilly, the art house of such things. I use that phrase as these cafes, their rituals, ambience and so forth could represent a certain kind of folk art. There is / was a sense of pride to the workmanship of running good cafes along these lines, a certain artistry. Sometimes such leanings would be more pronounced, more overt than in other cafes. Soho and its nearby environs seemed to house a number of these, classic cafes as it were and The New Picadilly was one such place. Here (and inside other similar fellow travellers) that workmanship / artistry stepped over into a particular kind of flamboyance or showmanship, an obdurate tradition or ritualism to how your cup of tea and slices of bread and butter would be prepared, served and bantered amongst. It is now gone, departed under the feet of progress. 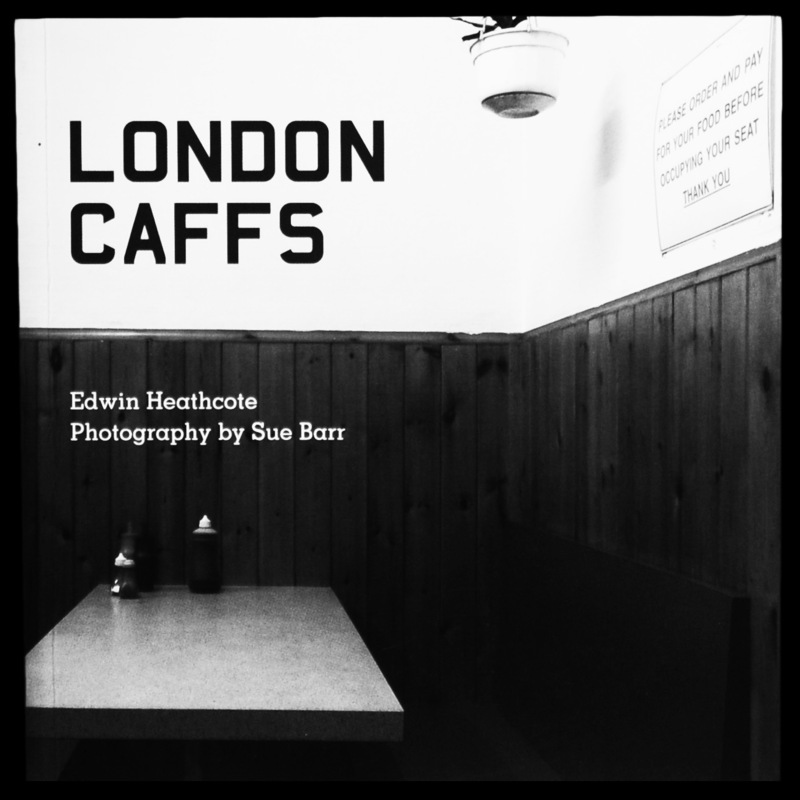 Which brings me back to the London Caffs book and the sense of it being a historic snapshot. This was pertinent when the book was published in 2004 and I suspect even more so now as an increasing number of such traditional cafes and their ways have disappeared. Visit traces of The New Picadilly at Classic Cafes here (which is also home to a not dissimilar book by Adrian Maddox and a fine resource on such things).